Research and Innovation is the enabler for moving the energy transition forward. Sound research, development and ­innovation policies have to bring new technologies to a point at which markets will decide on their uptake. Grid operators are at the core of the transformative change of the power system that keeps society ­functioning and our economies operating. They are the integrators of technologies and solutions. Why a new Research and Innovation ­Roadmap? The proposed Research and Innovation (R&I) activities in this Roadmap aim to support the transmission system operators (TSOs), as key system integrators of different components and technologies, to answer to societal challenges. The TSOs should also be prepared to face game-changing environments, such as new actors entering the electricity market (e. g., storage, ICT, prosumers, active customers). 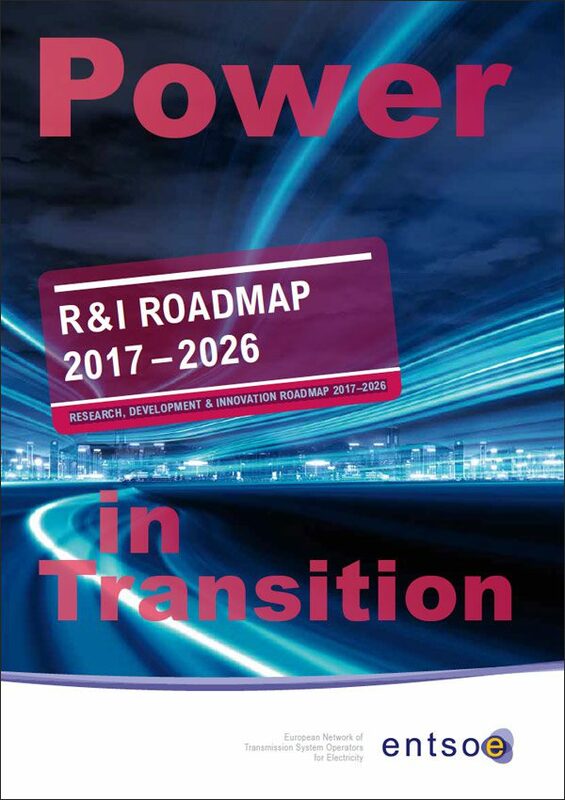 The R&I activities of this Roadmap are included in “Integrated Roadmap” developed by ENTSO-E, together with DSOs (EDSO for Smart Grids) and the storage community (EASE) through the participation in the EC service contract project Grid+Storage. The Integrated Roadmap addresses both TSO and DSO functional objectives. The TSO functional objectives in the Grid+Storage Integrated Roadmap will be the same as the ones published by ENTSO-E. 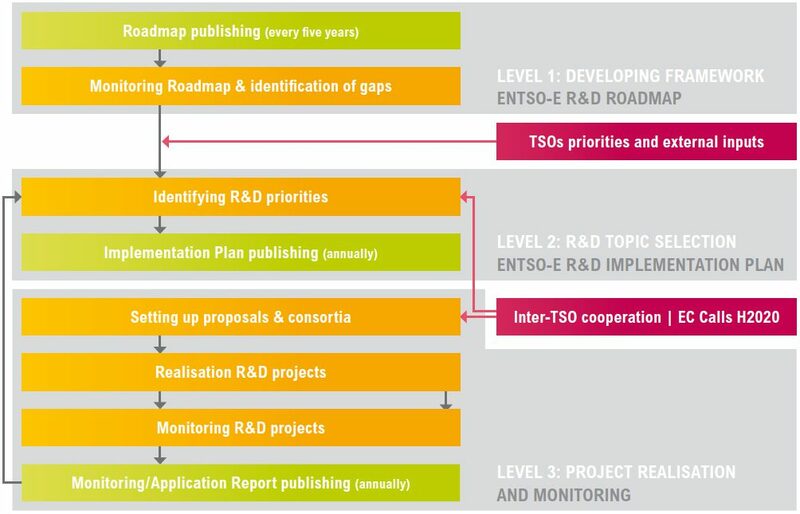 Similar to other products developed by ENTSO-E, the Research, Development and Innovation Roadmap (R&I Roadmap) is also a mandated deliverable providing the medium-/long-term vision for R&I activities coordinated by ENTSO-E and performed by TSOs. Owing to fast technological and policy changes, a midway update/revision of the previous edition (spanning the decade 2013 – 2022) of the Roadmap is needed, now spanning 2017 to 2026. The revision is also supposed to enable alignment with the process of the European Commission’s Integrated Roadmap1), which requires a more holistic vision and expanded cooperation with other actors. This Roadmap was submitted for public consultation to get stakeholders’ views on the proposed ENTSO-E R&I activities2). The 10-year Roadmap is complemented by Implementation Plans, issued yearly on a rolling three-year horizon, in which the R&I areas identified here are prioritised, and translated into focused topics to be addressed by concrete projects. The European Union climate/energy policies in 2015 marked a tipping point with the Energy Union Communication, placing the EU citizens at the centre. Energy Union identified Research & Innovation as one of the five pillars where the EU should focus its energy policy. The Energy Union Strategy aims at increasing the use of variable RES in the energy mix, empowering customers and putting households and businesses consumers at the heart of the European energy market. New technologies are developed, and the aim of R&I activities proposed in this Roadmap are an answer to these challenges by making use of new technologies and solutions. In line with the overarching R&I framework set by the European Commission (in Horizon 2020 Programme), a challengebased approach rather than the previous task-based one has been adopted for structuring the envisaged activities. This Roadmap includes also the monitoring and assessment of R&I efforts, (see Section “Where we are today”, p. 44 and Appendix 3, p. 94) which covers several perspectives. The investment costs for carrying out the objectives of this Roadmap are estimated to be approximately €1 billion. While EC funding could cover part of the cost, strong support is required by self-financing or other funding instruments to implement the projects.